The Senior class of Onekama High School had an interesting course line-up this quarter. In addition to their traditional classes, the Seniors participated in a four-session etiquette class designed to help them better navigate the world outside their classroom. The course, taught by former Onekama teacher, principal, and superintendent Beth McCarthy, covered topics including first impressions, gracious guest practices, important communication techniques, social awareness and appropriate manners in daily living. 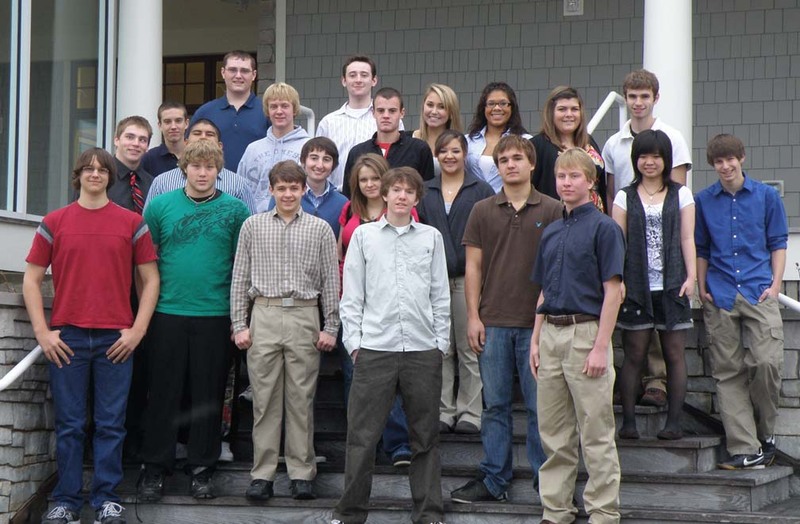 The classes culminated in a unique practicum: a fine dining experience at the restaurant at Arcadia Bluffs. Students were treated to a complimentary breakfast at Arcadia Bluffs, thanks to Bill Shriver, Chief Operating Officer; Scott VerStrat, Director of Food and Beverage; and Ashley Sholl, Director of Lodge Operations. The students took away more from the experience than full stomachs.